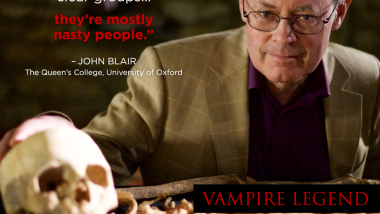 The early vampire was much more like this ruddy peasant that has just come out of the grave to feed off the blood of its victims. People who had read Bram Stoker’s Dracula hadn’t actually seen the creature until they saw the first theatrical staging of of it. It changed the image of a vampire from peasant to urbane count. And now, people got strong visual and suggestion of the character. 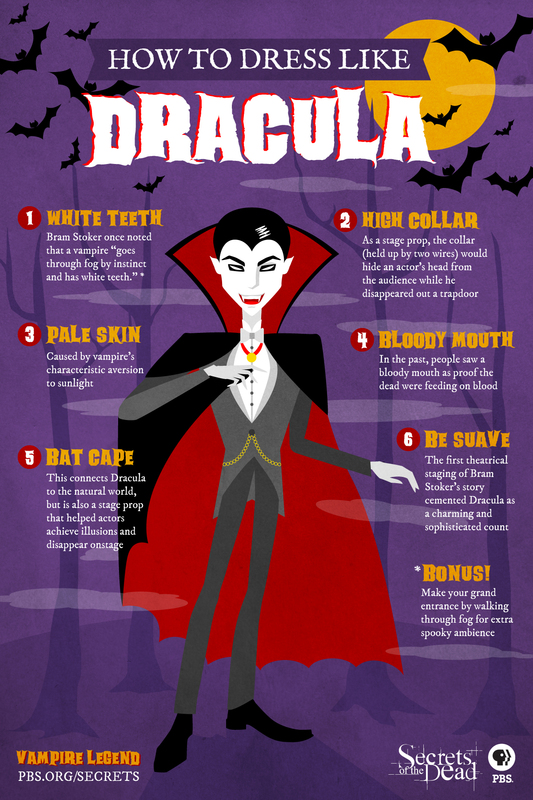 The high collar that we’ve got to know as every Halloween costume was actually a way to get Dracula off stage. Two wires were attached to the collar that went above the head and so when Dracula turned away from the audience he could disappear out the trap door and the audience wouldn’t see him disappear. Historically, disease like porphyria was actually known as the vampire disease and it creates a sensitivity to light. If the skin is exposed to the sunlight it creates this very distinct rash. The patient is very pale because they can’t go out into the sunlight. The other disease that may have fuelled the imagination was a disease called pellagra and this too creates a sensitivity to light, a very distinct rash. It’s a wasting disease, so there’s a lot of dehydration. You actually start to look like a walking corpse in a way. 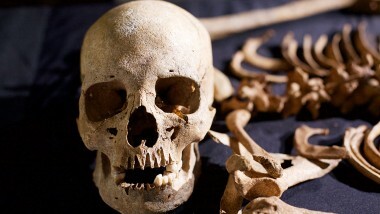 The bloody mouth and distended belly are specifically referred to in both the medieval texts and the modern Romanian account as proof that corpses were rising from their graves. The cape obviously makes Dracula look like a bat so he connects the natural world with this decoration but also it’s a stage prop. The first theatrical staging of Bram Stoker’s story cemented Dracula as a charming and sophisticated count. Make your grand entrance by walking through fog for extra spooky ambiance.